Automated Guided Vehicles are not a “standard” product. Every project is different and the design of the vehicle is determined by the application and requirements of the customer and end-user. However, many projects have similar requirements, and of course, standardization in pallet and container sizes presents an element of commonality allowing proven solutions to be reproduced without the requirement for extensive development work. Quirepace in collaboration with our Partners, AGVE, are able to reference many successfully completed projects that demonstrate a diverse range of applications. The following illustrates the broad categories of Automated Guided Vehicles available through Quirepace. Contact us today and find out how we can help your organisation. Palletmovers are, not surprisingly, designed to move pallets. Vehicles may be fork-style, either counterbalanced or “fork-over”, or may be vehicles with conveyor roller decks capable of carrying one or more pallets simultaneously. Vehicles can be configured for external operation as well as internal. 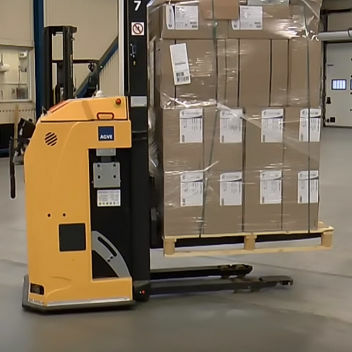 Sideloaders are AGVs designed specifically to carry tote boxes, stillages and cartons by driving adjacent to the payload and loading using either extendible forks or conveyors. Often the vehicle interfaces automatically with the collection and/or delivery location. The “active” part of the process of loading/unloading may be either on the vehicle itself, or via the external conveyor system. Sideloaders may have adjustable height decks and/or be configured for several containers simultaneously. “Tuggers and Porters” are, as their name suggests, used either to tow payloads contained in other carts, or to carry payloads on their back. 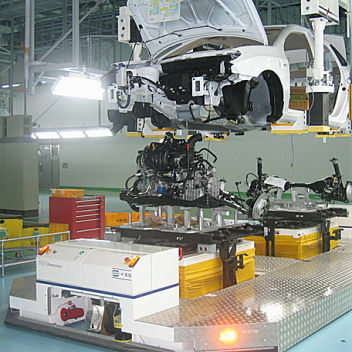 “Porter” AGVs are often the vehicle of choice when the AGV is incorporated into an assembly line. 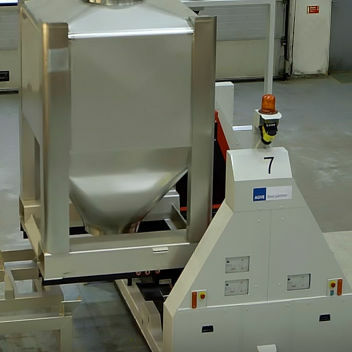 The assembly is transported on top of the AGV between the different process stations in the same way as a traditional conveyor or fixed-track vehicle. A principal benefit of using a Porter AGV for production lines is the ability to adjust and adapt the route at any time. 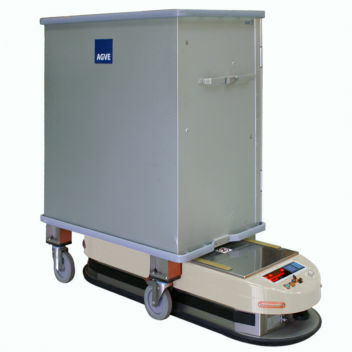 Automated Guided Vehicles are used in many special applications. No matter what the payload, a vehicle can be designed to deliver the required transportation requirement. The limiting factors are technology and imagination!. Contact us today and find out how AGVs may make your processes more efficient.